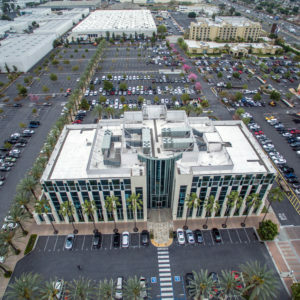 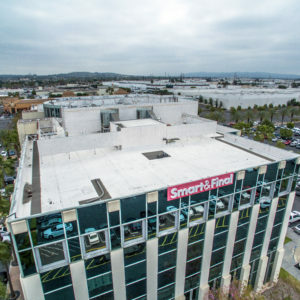 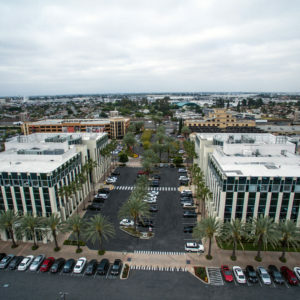 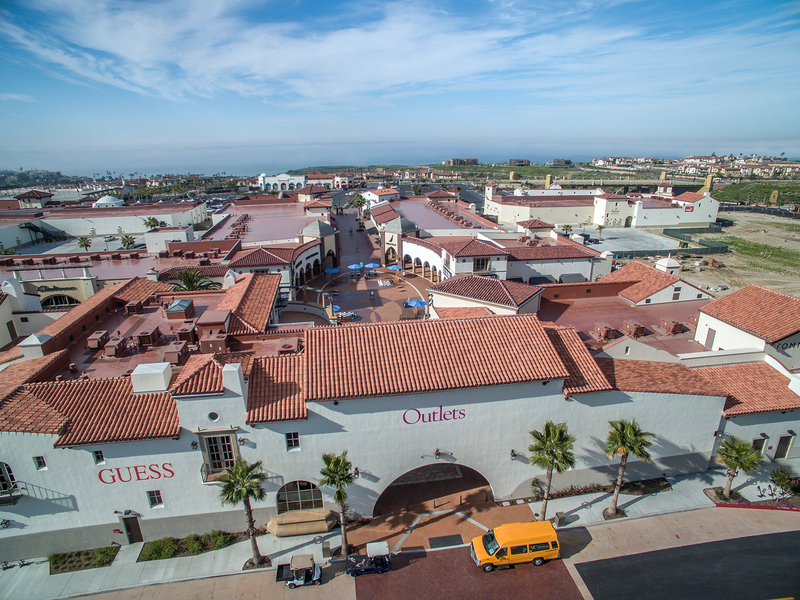 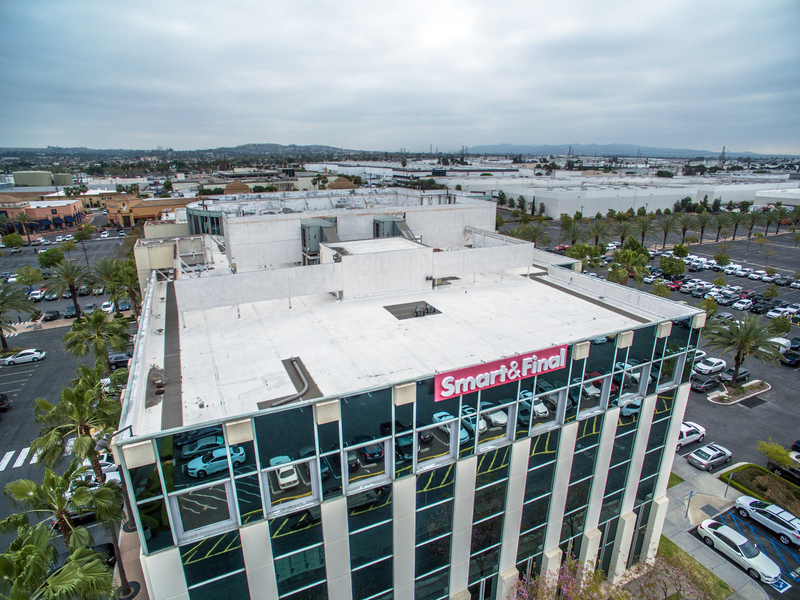 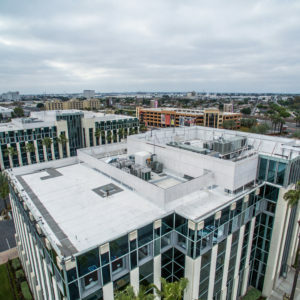 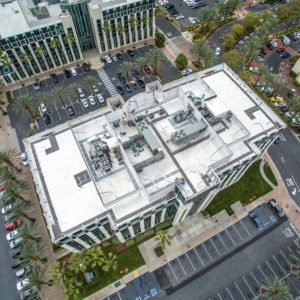 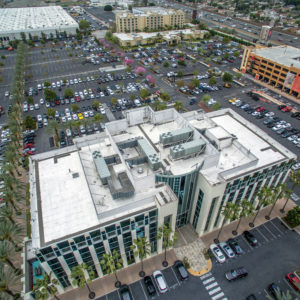 This roof on Smart and Final corporate headquarters building was a re-roof project that consisted of removing the existing roof and installing a new GAF EverGuard TPO roof fully adhered due to the fact that the sub-straight is concrete. 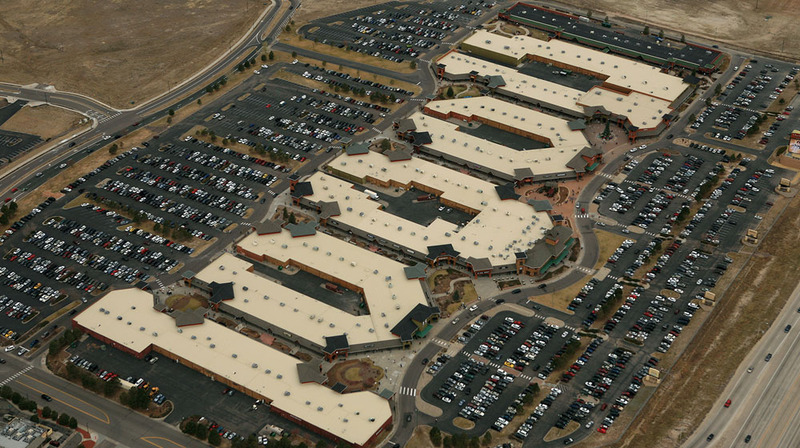 This whole roof system is fully adhered. 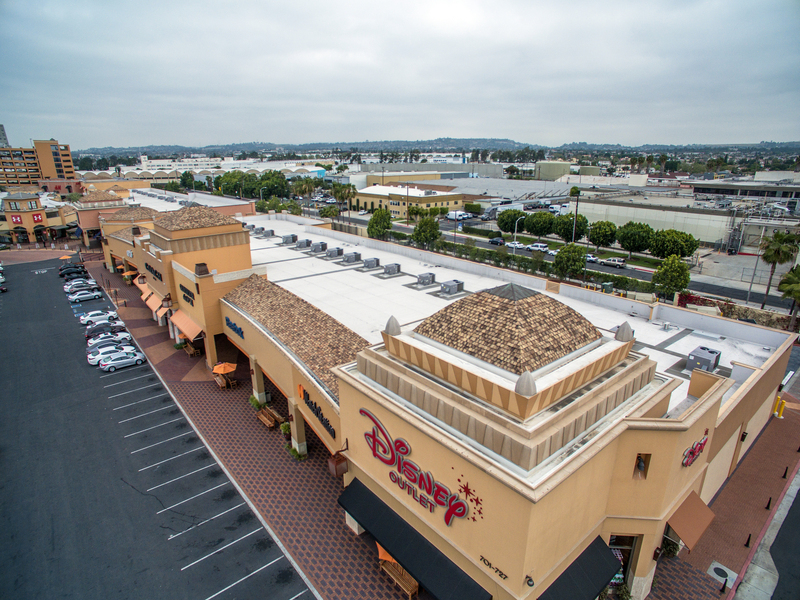 The roof is currently under manufacturers 20 Year NDL material and labor warranty.